Do some cultural sightseeing at National Motor Museum and Martindale Hall Heritage Museum. Step out of the city life by going to Riesling Trail and Glenelg Beach. Venture out of the city with trips to St Aloysius Church (in Sevenhill), Vine Art Studio, Gallery & Therapeutic Massage (in Leasingham) and Tanunda (Chateau Tanunda & Langmeil Winery). 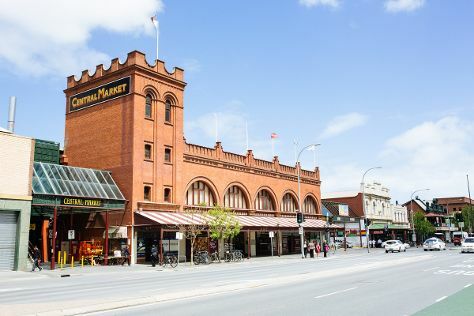 There's much more to do: appreciate the extensive heritage of North Terrace, do a tasting at Wirra Wirra Vineyards, hunt for treasures at Adelaide Central Market, and tour the pleasant surroundings at Aldinga Beach. To find reviews, more things to do, other places to visit, and more tourist information, refer to the Adelaide vacation planner. In September, daytime highs in Adelaide are 21°C, while nighttime lows are 11°C. Cap off your sightseeing on the 13th (Fri) early enough to travel back home.